Naturally, my last day in London would be cold and rainy. 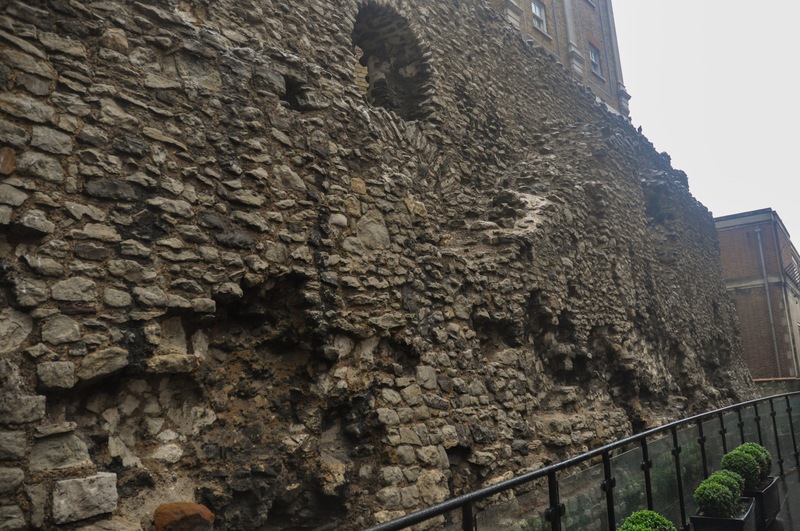 So why not go on not one but TWO London Walks today? 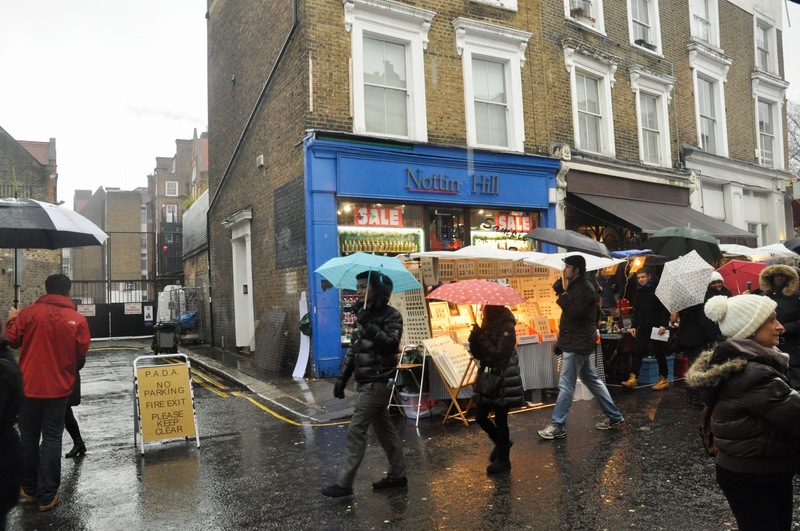 My first tour was the Notting Hill and Portobello Road walking tour. 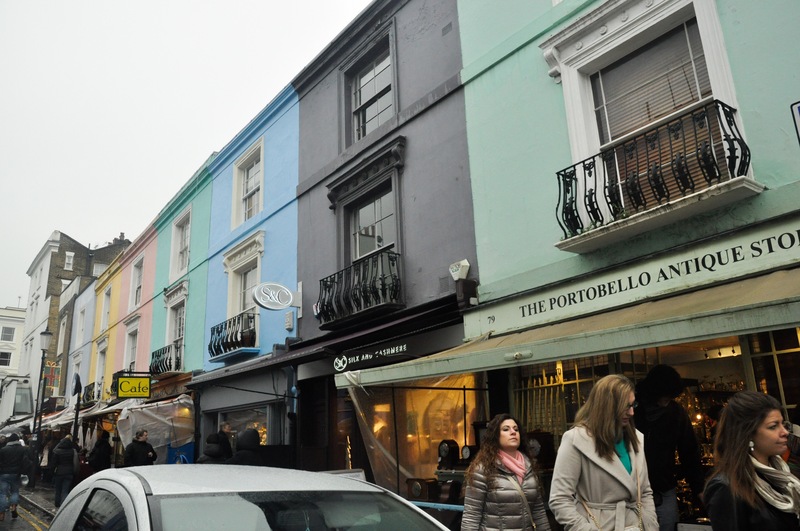 I have seen the movie Notting Hill more times than I would like to admit (ok like more than five) and have always wanted to go to the Portobello Road market. The walk was a great tour. I love how London Walks has a nice mix of need-to-know information with some nice fun facts. For instance, our tour guide Tom told us all about the history of Notting Hill when it was first founded as well as show us some celebrity houses (like Richard Curtis…I LOVE YOUR WORK). It is interesting how Notting Hill was one of the worst slums and now properties sell for £7 million. My head was spinning when I was trying to convert that to American dollars. The market was also amazing. I decided to have lunch here and had a falafel and a banana, Nutella crepe. Clearly, the crepe stole the show because I never looked up while eating it. 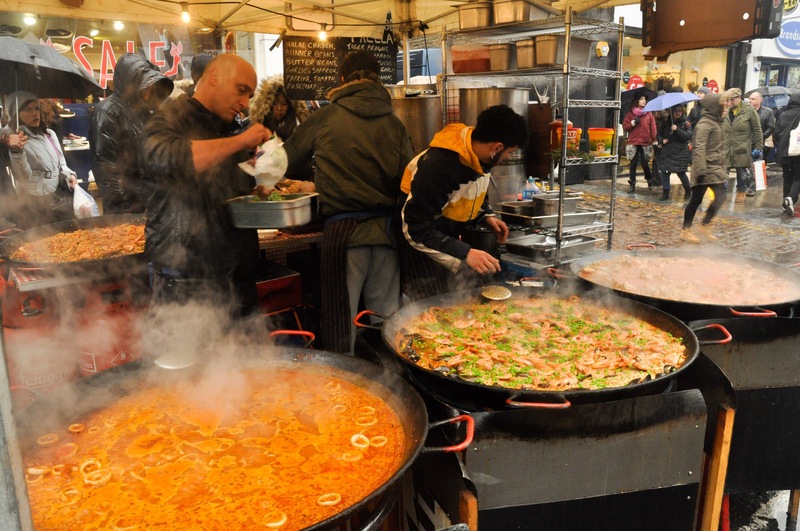 If you ever plan to go to London, please try to plan your trip to be able to see the market on Saturday morning. There are tons of antique, food and clothing stands all along the market. Everyone is so colorful both in personality and in their fashion. I love how Notting Hill has still preserved their bohemian style even though more families are moving to the area. 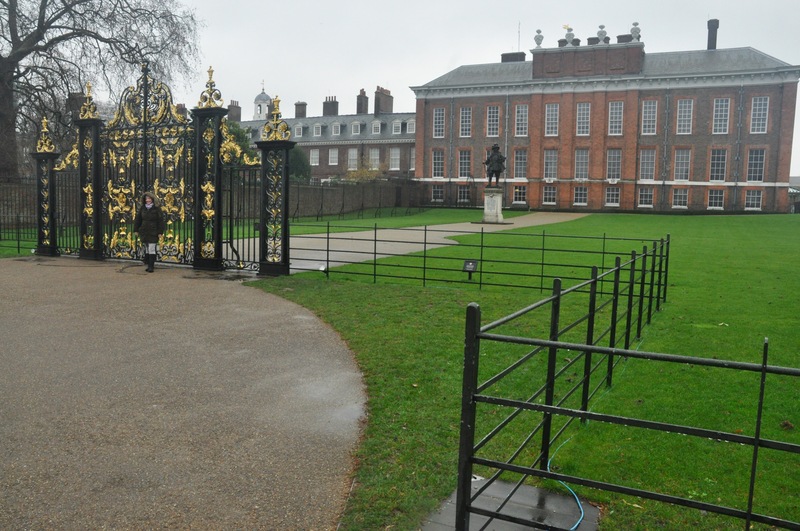 My mom’s one request when she went back home was to try to make it to Kensington Palace. I was in the area and had about an hour to spend, so off I went. 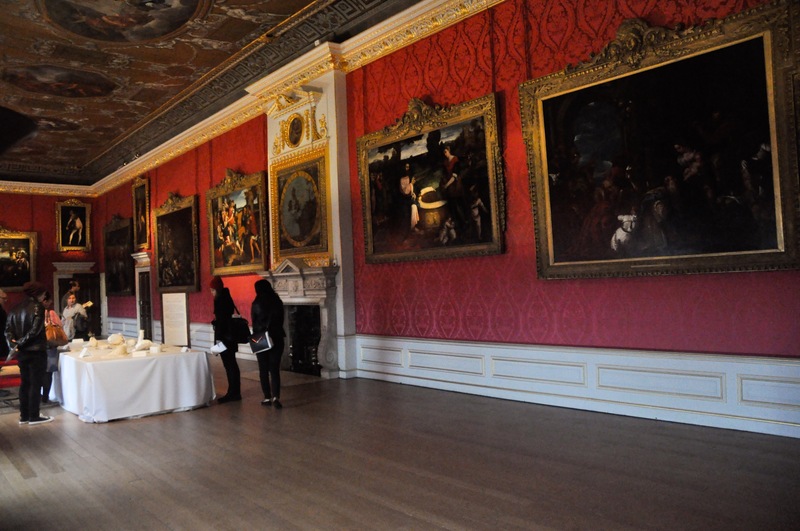 I honestly did not think that Kensington Palace would be that large. It is near the Kensington Park entrance, so the palace is surrounded by green grass and a mini, well kept forest. There was even geese flying; it looked like a Jane Austen movie. I was only going to just look outside and around the garden, but I saw that the palace has an exhibit about certain dresses the Queen, Princess Diana and Princess Margaret wore over the years. They are so tiny! Like any other American, I love Princess Diana so it was cool to see some of the dresses she wore, but they didn’t have the dress that she wore in the photo with her dancing with John Travolta so that was a mild let down. I then realized that I had 15 minutes to get to the Tower Hill tube station for my Jack the Ripper tour, so I practically ran to the High Street station. The Circle Line moves at a glacially pace fair warning, so if you ever late for something that requires to take that line plan 45 minutes before you go. The walking tour to be honest was kind of a let down. I heard so many good things about this specific walk and I wasn’t that impressed. This could be because I was exhausted and hungry, but I thought there would be just a little bit more. I loved the Notting Hill and Harry Potter walks better. But it was interesting to learn about “the original serial killer”. Tonight is my last night in London and tomorrow I fly to Prague, so here is my overview of London. I absolutely love this city and it is almost heartbreaking that I am already leaving. I would love to live here if possibly because London is both a cosmopolitan hub and a historical landmark. The city is super developed, but still pays tribute to its older roots. The tube is phenomenal. It’s easy to get around with all the multiple forms of transport. Things to for sure see: Tower of London, Victoria and Albert Museum, Fortnum and Mason, Spitalfield Market, Natural History Museum (but only first thing in the morning), Notting Hill, Portobello Market and Southbank Centre. Things to maybe skip if you don’t have enough time: Jack the Ripper Walk, Tate Modern, Kensington Palace, Liberty of London, and St. James. I loved hearing and seeing about your adventure! Wish we could have seen the Diana exhibit together. I do disagree about Liberty of London. I loved it and think you were tired! Can’t wait to hear about the rest of your European Adventure! !